A cottage like no other, Seaview provides luxury and style in equal parts. Seaview is a stylish, spacious, luxury holiday cottage in Pembrokeshire, accommodating up to 10 guests in five beautiful bedrooms. 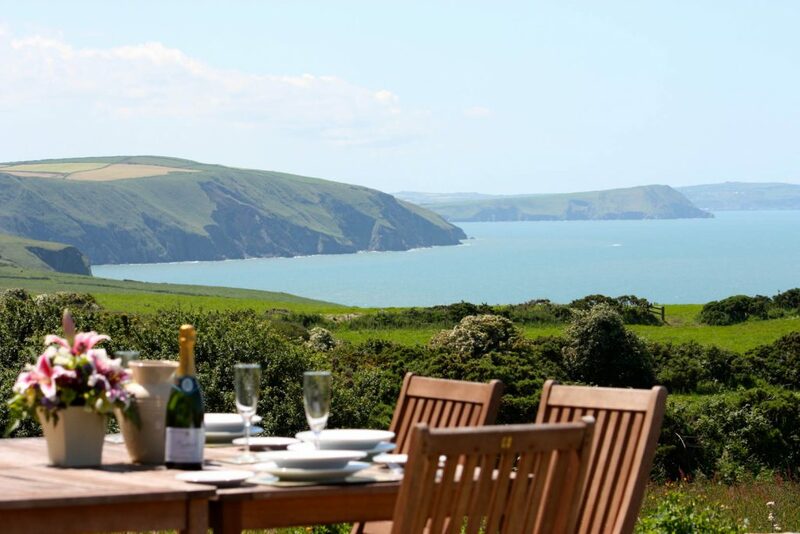 The cottage sits on the coastal edge of the Pembrokeshire Coast National Park. It is on the border of North Pembrokeshire, Ceredigion and Carmarthen. The luxurious private hot tub based at the back of the property offers stunning sea views of the welsh coastline. The cottage is perfect for large family get togethers, gathering friends and special celebrations. Even the family dog is welcome to stay. Fully modernized for all of your practical needs, while retaining the charm of a traditional cottage, Seaview really is the perfect choice. 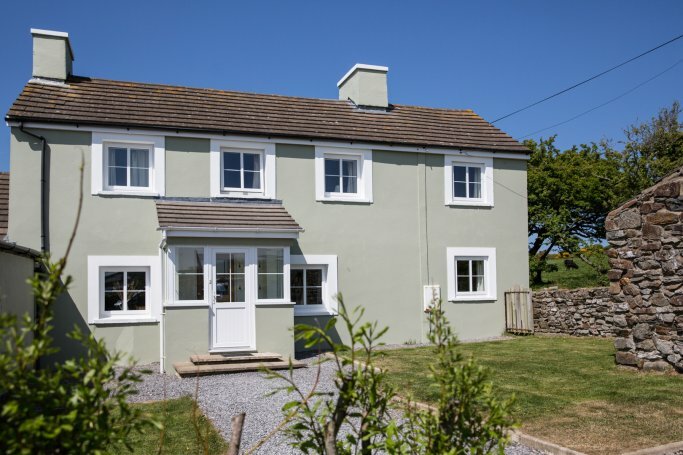 This gorgeous 5 star holiday cottage in Pembrokeshire is fully fitted with all the essentials to ensure a great self-catering experience. The light and spacious interior of the cottage ensures that even when full, there is plenty of space for an enjoyable and comfortable holiday. Seaview Cottage is just a five minute walk from the Coastal Path and Ceibwr Bay. Ceibwr Bay is a small pebbly cove owned by the National Trust and a site of scientific interest. Jump in the car and within five minutes you can sink your toes into the white soft sand on Poppit Sands Beach. In fact, there are a total of 6 beaches within 20 minutes of the cottage to choose from. There really can be no better place to relax and unwind.